Players can find up to four times more Golden Ice Brutes than before. Your family will finally take less than five generations of Fortnite players to complete the Golden Ice Brutes challenge. Several players complained yesterday that it took them over seven hours to find one to three Golden Ice Brutes, while an Ice Storm challenge tasked players with killing 20. 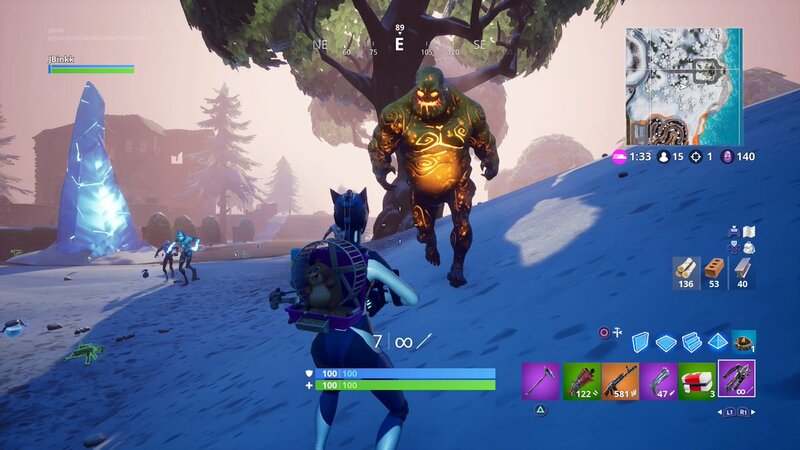 The company also adjusted the individual spawn rates of Golden Ice Brutes “to a more forgiving level.” Epic wants these changes to let players focus a bit less on the Ice Legion in the late game while also allowing them to focus on progressing through challenges in the early game. Epic increased or decreased the Ice Legion spawn based on the storm circles that appear as the match advances. The company also increased the spawn rate of Golden Brutes by 100 percent and said this change will compound with the other changes to spawn rates. This means that in Circle One, players are four times more likely to find Golden Ice Brutes than before. Players can drop into an Ice Storm match right now to test these changes for themselves. They should find that it’s much easier to complete the challenges and find these pesky Golden Ice Brutes.